Radio on Main Street Podcast Featuring Doug McElrath and Jim Baxter with the University of Maryland’s Library of American Broadcasting. Broadcasting has an extremely rich history. There have been many individuals, events and activities that have not only influenced the business but helped pave the way for the business as we know it today. 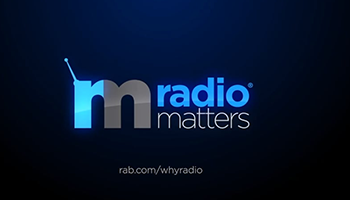 In this edition of Radio on Main Street, Erica Farber, President and CEO of the RAB speaks with Doug McElrath, Director of Special Collections and University Archives for the University of Maryland Libraries and Jim Baxter, Research Associate with the University of Maryland’s Library of American Broadcasting. The Library of American Broadcasting Foundation’s collection is located on the university’s main College Park Maryland campus. It has been curated over the years and features many things from radio and television’s early days to specific collections donated by companies and individuals. The foundation is a 501 (c) (3) charitable foundation to which tax-deductible contributions may be made to help support the mission of the foundation.